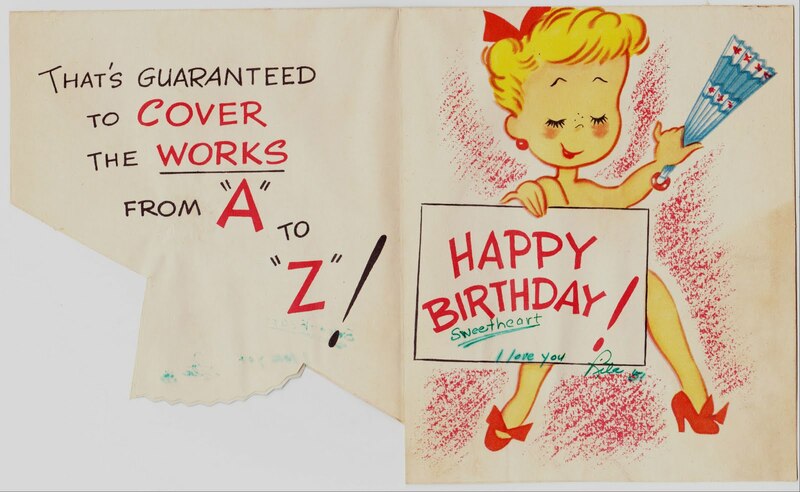 Here's an old birthday card that appears to have been given by "Rita" in 1951. 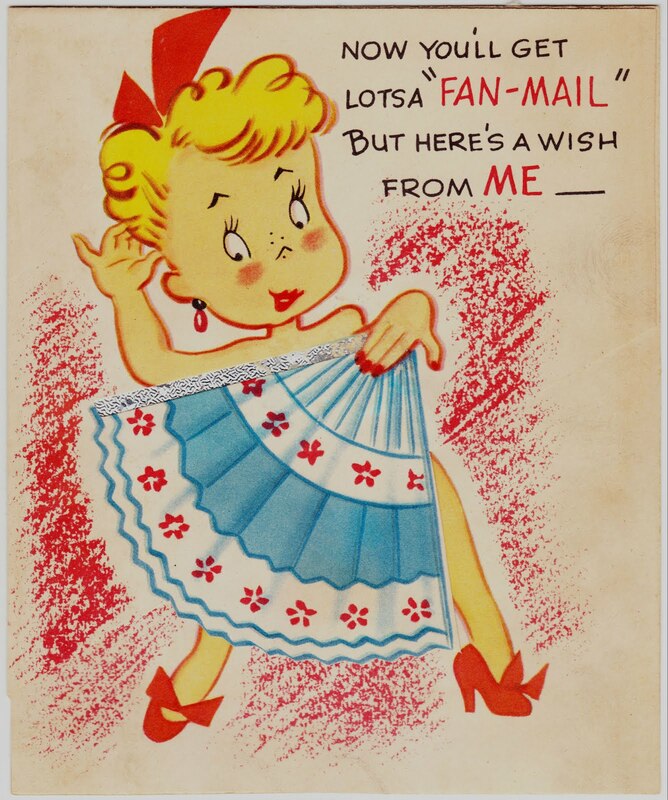 The front, pictured above, states: "Now you'll get lotsa 'FAN-MAIL' but here's a wish from ME"
The card opens up to the message "That's guaranteed to COVER the WORKS from 'A' to 'Z'!" 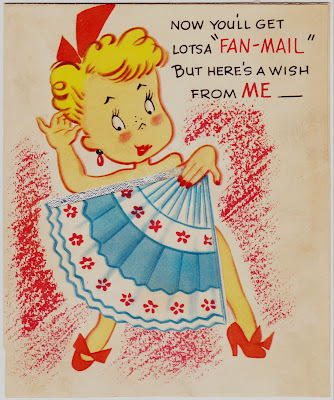 The blond-haired woman has closed up her folding fan and is now holding a sign that reads "Happy Birthday!" It's certainly nothing scandalous, but it does seem to be a little risqué for the early 1950s, right? I doubt that this would have been placed on the shelf alongside the other greeting cards for sale at the time, but who knows? Halloween Countdown #15: Hi There, High School!